News | | Published: 15:55, Thursday March 9th, 2017. Proposals which could see the Islwyn constituency wiped off the political map have entered their second consultation phase. In September last year, the Boundary Commission for Wales first published plans which would see the number of Parliamentary seats in Wales fall from 40 to 29, as part of a larger UK-wide review into reducing the amount of MPs by 50. 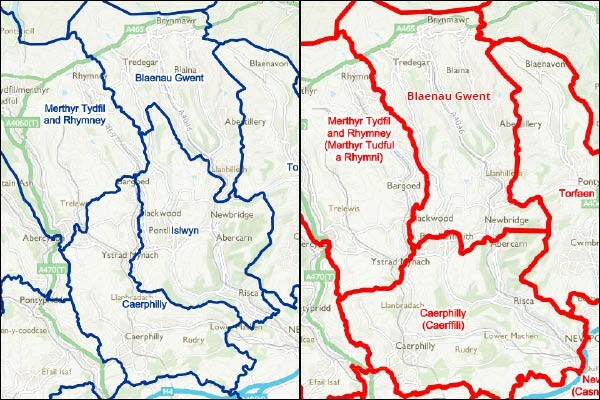 Under the proposals, the Islwyn constituency would be carved up for the UK Parliament, with its areas absorbed by the existing constituencies of Caerphilly, Merthyr Tydfil and Rhymney, and Blaenau Gwent. However, the changes will not affect seats in the National Assembly for Wales. Initial proposals by the Boundary Commission place the northern half of the constituency, including the communities of Argoed, Crumlin, Newbridge, Blackwood, Pengam, Penmaen and Oakdale into Blaenau Gwent. The southern Islwyn communities including Risca, Crosskeys, Ynysddu, Pontllanfraith and Maesycwmmer become part of a newly-formed Caerphilly seat. Aberbargoed will become part of Merthyr Tydfil and Rhymney. Caerphilly would lose Nelson, Ystrad Mynach, Hengoed and Bargoed to Merthyr Tydfil and Rhymney. 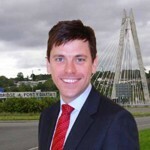 The current Islwyn MP, Labour’s Chris Evans, was elected in 2010 and vowed to fight the planned changes upon their announcement in September. He said at the time: “It is extremely disappointing that once again a boundary review has proposed that the community of Islwyn should be split in half despite being represented together in Parliament for almost 100 years. Writing to the Commission as part of the initial consultation, Mr Evans suggested a different split, consisting of three constituencies called Caerphilly East, Caerphilly West, and Heads of the Valleys. He wrote: “My view is that the initial proposals could be improved to better take into account geographical considerations and local ties, and that this can be rectified by some internal alterations between the three proposed constituencies. “The counter proposal I would make is to create three new constituencies by re-arranging the internal borders between the three proposed constituencies. “The counter proposal would also keep communities together which would otherwise have been divided in the initial proposal. Blackwood, Cefn Fforest and Pontllanfraith are a natural community but are divided between two constituencies on the initial proposal. “The same can be said for the communities of Newbridge and Abercarn, which would also be reunited with Abertillery which once shared a district council with those two communities and Crumlin, as well as Ystrad Mynach and Caerphilly town. In this counter proposal these communities would remain part of the same constituency. The shake-up is part of the The Parliamentary Voting System and Constituencies Act 2011. The Act requires that every UK constituency has an electorate within the range of 71,031 to 78,507 voters. Steve Halsall, Boundary Commission for Wales secretary, said: “Whether they accept or object, we are keen to hear people’s views. The Commission can be contacted on bcomm.wales@wales.gsi.gov.uk or by calling 029 2046 4819. Its final proposals will be submitted by October 2018.